After a jury in September awarded $5.8 million in punitive damages against Silverstar Automotive over a used Ferrari it sold, the retailer appealed, arguing that the punishment was excessive and unlawful. On Thursday, U.S. District Judge P.K. Holmes agreed and ordered the damages lowered to $500,000. But his decision also came with a harsh condemnation of Silverstar, based in Bentonville, Ark. "Making an affirmative misrepresentation about a car's condition, especially when the condition gives rise to safety concerns, is often considered one of the more reprehensible acts of business fraud," Holmes wrote in his ruling. 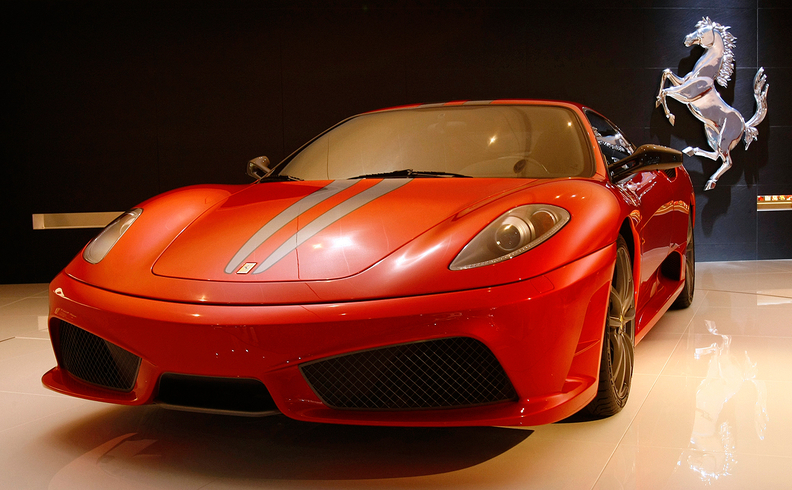 The case centered on a 2007 Ferrari F430 that Virginia resident Hamid Adeli bought from the group's Mercedes-Benz of Northwest Arkansas store in 2016. Adeli bought the car for $90,000 without physically going to the dealership first, instead relying on phone calls, text messages and video chats with dealership personnel. The Mercedes store had a pre-purchase inspection done at a Ferrari dealership in Plano, Texas, and that turned up the need for a new clutch and fuel sensor and other repairs, as well as the beginning of a crack in the exhaust manifold. All the repairs were done except for the exhaust manifold, which the dealership argued in court is a common issue among that particular model of Ferrari and was not an immediate concern. Dealership personnel, however, allegedly failed to disclose the issue to Adeli. After taking delivery of the Ferrari, Adeli claimed to have noticed the smell of fuel on a short drive to his home and said the odor worsened once home. The next day, he had the car taken to Competizione & Sports Cars of Maryland, a Ferrari specialist in his area, which turned up a leaky fuel pump, suspension problems and a cracked exhaust manifold, according to court documents. After Silverstar declined to pay for the issues, arguing the car was sold as is and in working order based on the pre-purchase inspection, Adeli sued for breach of warranty, fraud and deceptive trade practices. The jury awarded him $6,835 in compensatory damages, $13,366 in incidentals and the $5.8 million in punitive damages, but Silverstar's lawyers argued the punitive damages were unlawful. Holmes agreed in part and cited precedent and constitutional law to reduce the punitive damages award. Holmes upheld the compensatory and incidental damages. And the judge argued that a substantial punitive award was still warranted because potential safety issues involving a fuel leak could lead to a fire. "The fact that those dangers never materialized into physical harm does not make Silverstar's conduct any less reprehensible," the judge wrote. "Though the actual harm here was economic, the potential for physical harm was significant."